ADDvanced Solutions Community Network is a Community Interest Company, not for profit social enterprise. They provide open access, community-based learning, coaching and mentoring programmes and health, wellbeing and enrichment activities for families with a child living with a Neurodevelopmental condition including autism spectrum disorder, HFA, sensory processing difficulties, ADHD, dyslexia, dyspraxia, dyscalculia, dysgraphia, fragile X, communication difficulties, special educational needs and disability. They aim to equip and empower parents, carers, children and young people with the skills, tools, knowledge and confidence to better recognise, understand and meet their needs and those of their family.  Awareness Raising Training for families and professionals: Neurodevelopmental conditions, Sensory Process Difficulties and Eating Difficulties associated with Neurodevelopmental conditions.